I don't immediately believe on people who are so talkative but no visible proofs as they speak. I could be a good listener for them but not instant believer. The abilities and capabilities of every person lies on the result of its performance. Though, i am silent at all time but still my actions speak louder than words. Tinawagan kita minsan jan pero sabi nila, day off mo raw. 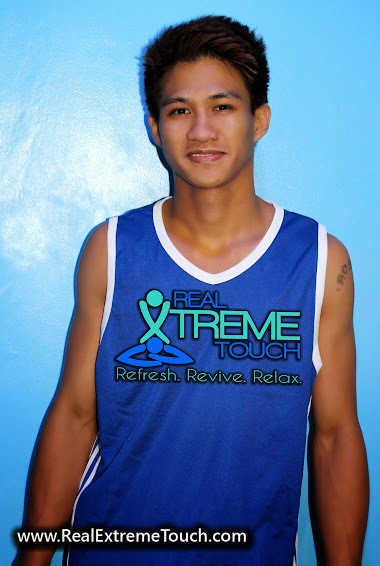 Hi Real Extreme Touch! I would like to give my personal feedback to Robert with regard to his massage. I can say that it was very relaxing and soothing when he did the massage on my body. Robert was very nice, friendly and respectful. Pala kuwento siya which I really appreciate and has treated me with utmost respect. Surely, I will booked Robert again. GOOD JOB!! !